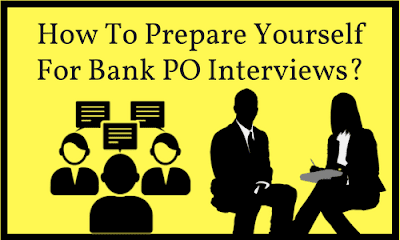 How To Prepare Yourself For Bank PO Interviews? Many candidates find difficulty to face Bank Interview. As its the final for his/her selection in the Bank Exam. The factor of your Future Totally depends on those few minutes with the Interviewer. We have outlined some important points that would be helpful for you in Interview. 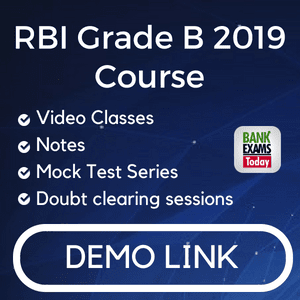 It will also become easy for preparation in an interview for various Bank Recruitments. Candidate should read the article very carefully and use these points to crack the Bank Interview. The very first thing to be done by candidates is do proper research on the banks which you have preferred. Collect all the useful information of the bank like Bank's history, size, position, services, etc, on the websites. It will help you in answering the questions asked from the recruiter like why have you choose banking as your career. The research done about bank will show your hard work and efforts to the interviewer. Usually, latest events are been questioned during the interview, so read the newspaper focusing on business sector. It will help you in giving more balanced opinion rather than some extreme viewpoints. Developing balanced viewpoint on valuable issues in an interview is very important for your performance. For those who can't read all the business newspaper, they can make use of websites. Most of the interview are conducted in English Mainly to check your conversation skills. Your ability of speaking matters a lot in the interview. The candidate should communicate with cordial manners and have a good vocabulary. So it is important that before the interview you should improve your vocabulary by regular conversations in English. It is very common among the candidates to feel nervous before attending the interview. 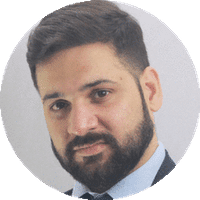 But you have to get rid out of this problem because this nervousness can spoil your whole preparation for the interview as your level of confidence will be low and you will not be able to give correct answer of the question asked by the interviewer. The Interviewer may ask your background regarding place you lived or worked and your locality. The main reason for these questions is to judge your understanding of the world. These questions also help in knowing your aims, ideas, and experience about the environment around you. So gain up the full knowledge about yourself. Every candidate must have the high level of general knowledge. Every interviewer creates a situation that will surely arise to test your general awareness, current affairs, and general knowledge. You have to keep reading more relevant information to prepare well for your interview. For this purpose, every day Current Affairs Capsules is updated which will help you to keep up-to-date on General Knowledge. The main thing on the day of the interview is the presentation. The body language, dressing, and introduction of the candidate plays a very vital role over there. So every candidate should wear a formal dress and make sure he/she should reach the place of interview on time so that they can get enough time to relax. Keep 3-4 copies all the important documents with you which are required.